Celebrate Spring: Soirée in the Valley ? Enjoy the night sky and the beauty of your surroundings, while we serve you and your closest loved ones an elegant 4 course meal, wine and/or champagne. Our weather protective Garden Domes comfortably sit 4-6 guests! We are excited to premiere Canada's largest outdoor dinner event right here in Calgary! Our promotional video & images feature scenes from our 2018 Ottawa, ON event season. Tag 3-5 friends for a chance to win a complimentary Garden Dome reservation + Dinner For 4. Winners will be announced weekly from mid January to Mid February! 30 consecutive days in Spring & Autumn. We offer 3 seatings nightly 5PM, 7PM or 9PM.
? 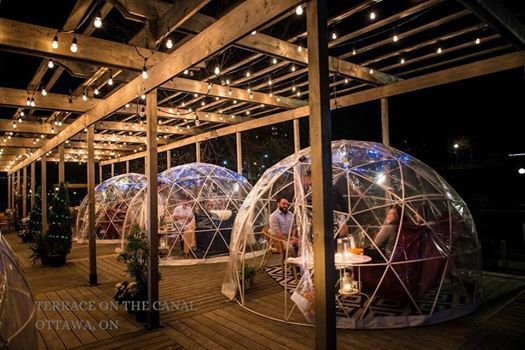 STEP 1: Garden Dome Reservation is a shared cost of $55 ($110 w/o discount code). 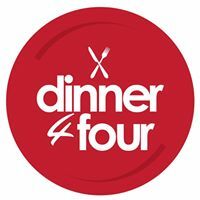 Reservations can ONLY be made online at www.dinner4four.ca and each Garden Dome seats 3-5 additional guests. Dinner sold separately, see Step 2.
? STEP 2: Dinner Purchase ($92+gratuity each) is made using the link in your Garden Dome confirmation email. 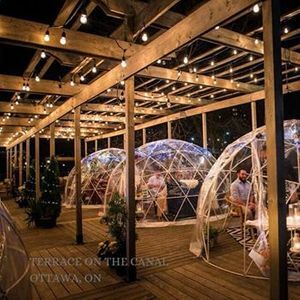 Reservation includes a 4-course meal, gratuity for service staff and 2 hour seating under one of our homey & decorated Garden Domes. Venue offers a fully stocked menu from liquor to bottles of wine ? , champagne & anything in between. Alcohol is sold separately, must present valid ID.